The Finnish Organic Federation has awarded SunSpelt´s Spelt Supplements as The Organic Products of the year 2016. SunSpelt´s new arrivals received praise for their soft taste, their high content of fibre and protein and versatile possibilities when cooking and baking. The Spelt Fibre Supplements have found their way to the kitchens of both athletics and culinarists. The Spelt Fibre Supplements add nutrition and taste in smoothies, yoghurts and porridges and they can also be used in different kinds of desserts and pastries. The Spelt Fibre Supplements come in two different flavours: the sweetly sour sea buckthorn and the juicy wild blueberry gives you tastings of the Finnish pure and fresh nature. Not to forget all the strong vitamins that the arctic and harsh nature produces to the native plants and berries of the North. SunSpelt is known for its organic spelt and quinoa products. The 15 year old Finnish brand has specialized in the product development of native Finnish plant species. “We wanted to create an organic product and a superfood that would be easy to use. With our new stylish and delicious packaging, our aim is to lure new customers to the inspiring world of original Finnish local food. A small amount of the Spelt Fibre Supplement makes you feel nourished and satisfied. Spelt is true super nutrition, natural food is known to be well absorbed,” Kari Kaipainen, the CEO of SunSpelt, says. Spelt is an unprocessed grain, which has maintained its original composition though-out the history. It is natural food for both humans and animals. Spelt is rich in B vitamins, which are important for metabolism and the nervous system. In addition, spelt contains all the amino acids that the human body needs and it is high in protein. Spelt also contains a variety of minerals and trace elements, as well as fiber. It is suitable for those suffering from intestinal problems and even for those with grain allergies. Organic spelt is extremely well absorbed. SunSpelt´s selection of products includes also Finnish organic quinoa. Quinoa is a nutritious and gluten-free seed plant, which is related to lambs quarter, nettle and spinach. Quinoa was originally cultivated among the native people in South America, but SunSpelt’s organic farmers have managed to get it grow well in the arctic conditions of Finland as well. 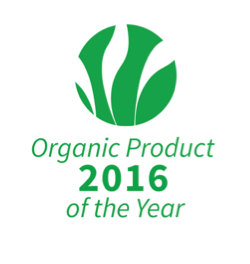 Organic Product of the Year 2016 is an award of the Finnish Organic Federation, which mission is to promote Finnish organic production, as well as business and consumer activity. The Finnish Organic Federation aims to get the benefits of organic farming to be used efficiently. Their mission is to help to diversify food production and fair marketing channels. Better land management and reduction of additional pesticides protect the growth environment of original and native plants and avoid the draining of unnecessary nutrients into the sensitive water areas, lakes and the Baltic Sea. “The whole production chain operates according to the principle of fairness, and all of our products are organic. We are in close collaboration with other organizations of the field as well,” Kaipainen says.